Discover one of the most beautiful regions of France with this beautiful holiday home with private pool in Chinon. You will fall under the charm of this house steeped in history, with its exposed beams and stone and its large rooms that can comfortably accommodate 8 people. A lovely swimming pool and a terrace will be ideal to enjoy the sun and the walled garden will be perfect for children. You will be in the heart of France, with many sites to discover around, starting with the city of Chinon where you can visit the Rabelais Museum and the Sainte-Chapelle of Champigny-sur-Veude, stroll on the Place Jeanne d 'Arc or deepen your knowledge of oenology thanks to the Musée du Vin et de la Tonnellerie. The vineyards around will delight all lovers of good wines. Make sure to visit the Royal Fortress (1.5km) and a little further the famous Abbey of Fontevraud which shelters the tomb of Richard LionHeart (18km). Continue on to Saumur and its beautiful castle (27km). Unmissable, the superb Châteaux de la Loire are very easily accessible: Azay-le-Rideau, Chenonceau, Chambord or Ambroise ... you will be amazed by these majestic monuments. Many other beautiful surprises await you here so do not hesitate and book this beautiful vacation rental with pool soon. This beautiful villa is made from brick or stone. The agent has rated it as a four star property so it is a well-equipped villa with above average furnishings. It is also great value for money. 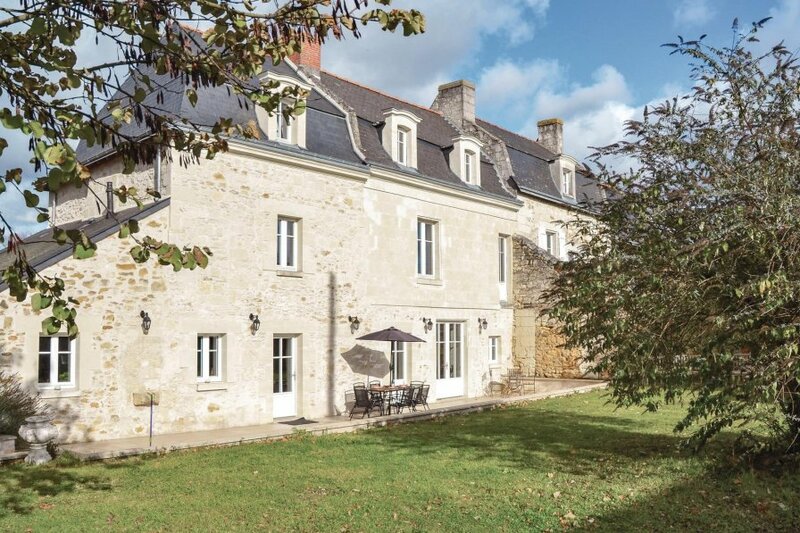 This villa has a private pool and is located in Chinon, 27km from Saumur. It is set in a good location, 6km away from a lake. There's also a restaurant 1.5km away.